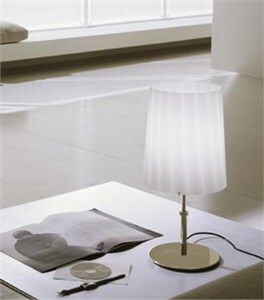 DESCRIPTION Table lamp with hand-blown glass diffuser available in two styles: satin white and ribbed white (rigadin). Diffuser supported by a brushed nickel metal frame. GLASS COLOR Satin White, White Rigadin.